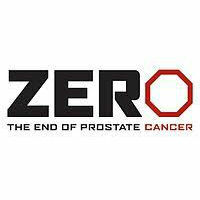 The American Cancer Society Cancer Action Network and ZERO – The End of Prostate Cancer urged men across Virginia to talk to their health care providers about their individual risk for prostate cancer and the appropriate medical course of action for those who are diagnosed with the disease. The groups also applauded Governor Ralph Northam for recognizing September as Prostate Cancer Awareness Month in Virginia. Prostate cancer is the second most common type of cancer among men – and the leading cause of cancer-related death for men in the United States, according to the Centers for Disease Control and Prevention. At some point in their life, one in nine men will be diagnosed with prostate cancer. African-American and Caribbean men of African ancestry are even more likely to develop the disease, and are twice as likely to die as a result. The decision whether – and when – to receive screening and treatment for prostate cancer is a personal decision that should be made after considering age, family history, race, and other individual factors and discussing them with a doctor. While some cases may not pose a serious health risk, more aggressive cases of prostate cancer can spread to other parts of the body and prove fatal.